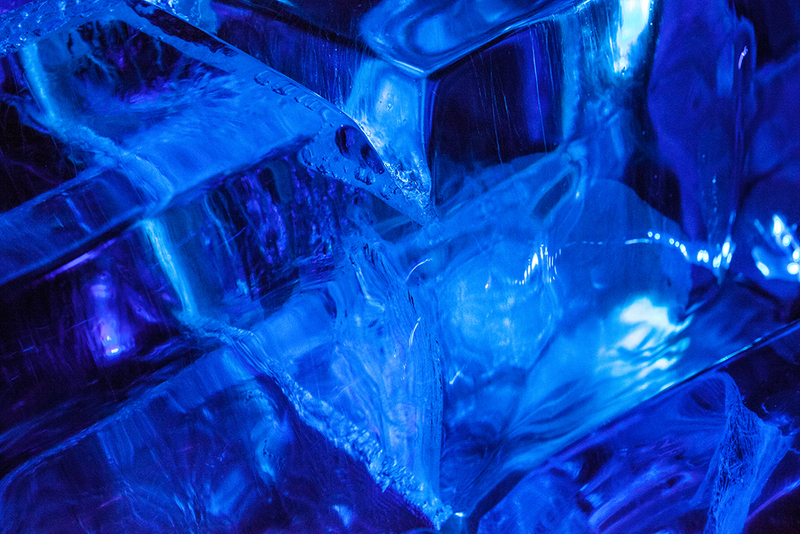 Ice Ice Baby is an experiment in cross-modal interaction. 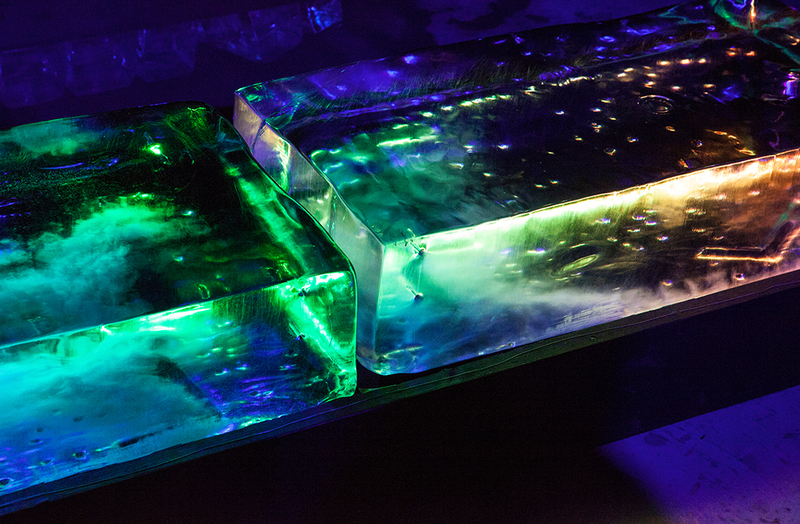 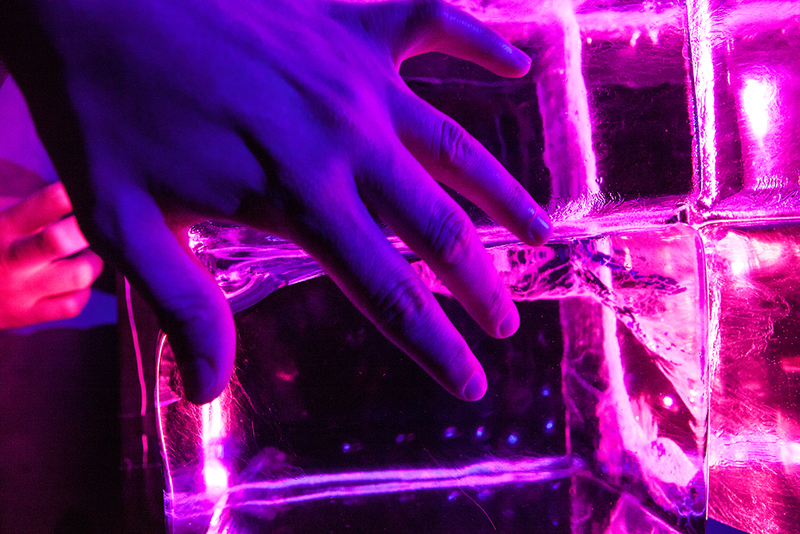 Presented as a series of interactive, large format ice blocks that play music when touched, the installation collides temperature and gesture (warm touch on a cool, frozen ice) to trigger deep soulful riffs that emanate from the ice block when caressed. 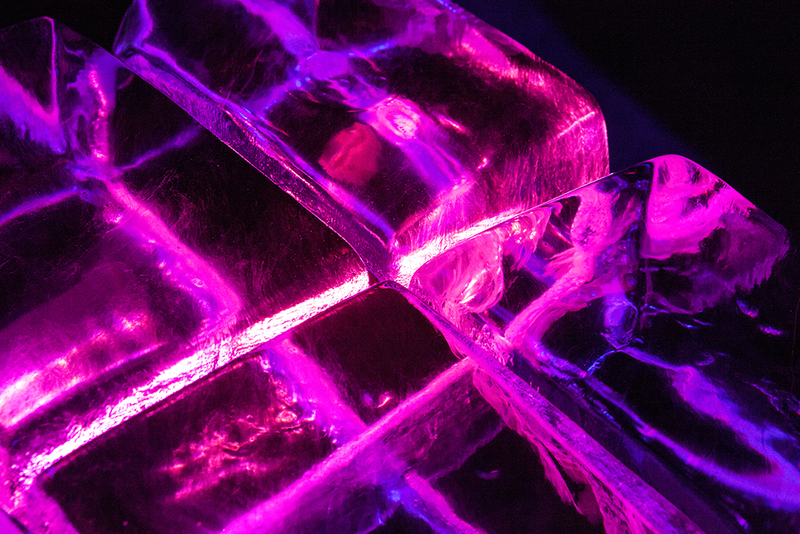 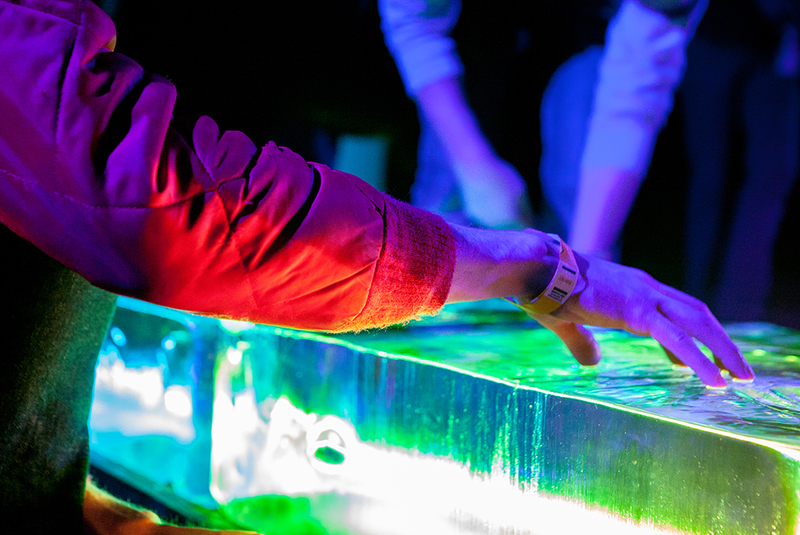 Serving as a medium of transformation, the ice allows human touch to be translated into human voice as the ice block comes to life through pokes, slaps, bops and taps by the audience. 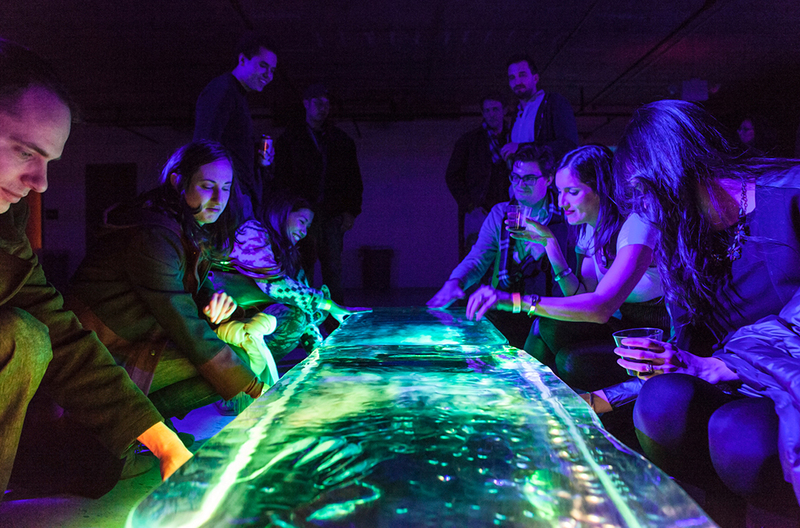 Performed at PRAVA FEST 2015 in collaboration with Dave Rife and Gabe Liberti.